A powerful US soccer team (kicking our arse 3-1) and a surge in US interest in the ball sport has meant that FOX is set to make US$17 million in brand deals during the FIFA Women’s World Cup (WWC). Big name sponsors, such as Nike and Coca-Cola, are all running ads during the WWC. Brands are pouring in almost three times as much money as they did for the 2011 tournament. This year FOX sport is set to generate US$17 million in sponsorship for the tournament- compared to US$6 million back in 2011. The one-minute spot set to the Guess Who’s classic tune American Woman features players Abby Wambach, Alex Morgan, Sydney Leroux and others undergoing some intense training. The team training is intercut with scenes of youth players training as well and ends with the line ‘Strong Alone. Unstoppable Together’. “We didn’t want to go into this trying to make a women’s spot—we wanted to make a soccer spot,” said Michael McGrath, partner at Thousands Creative, the Portland, Ore. agency told Adweek. 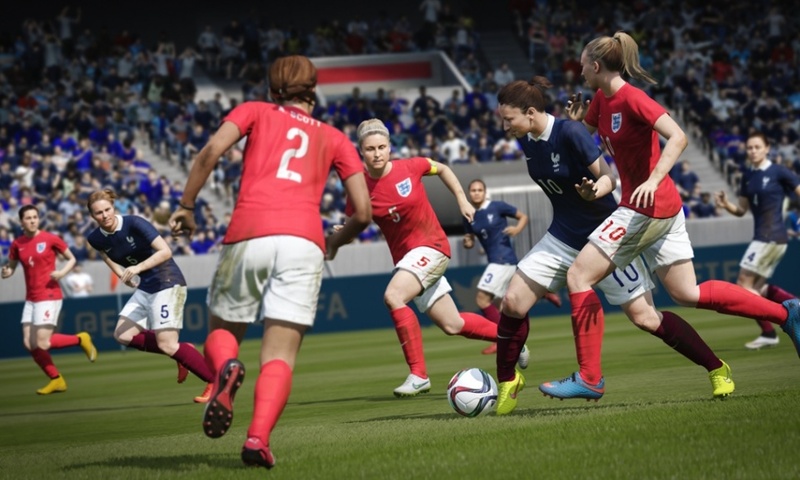 For the first time, EA sports will be introducing female footballers into its FIFA video game series for the FIFA 16th edition. Apparently it took EA sports so long to figure out how to put hips and ponytails onto the figurines. “We needed to have tools and technology in place that could differentiate between men and women. We’ve had to implement a new system that allows for the hips to be moved, the shoulders to be moved vertically, and the width of those bones and joints to be a factor too. It’s a pretty big change. The cool side-effects are that we now have scalable skeletons, so we can also support different body types in the men’s side of the game,” EA Sports vice-president and general manager David Rutter told The Guardian. “The Women’s World Cup is going to be a truly cultural event in the U.S. beginning next month, and this partnership with ‘The Simpsons’ and Gracie Films is one of several examples of how elements of 21st Century Fox have worked together in creative ways to promote this huge tournament,” said Robert Gottlieb, executive vice president, Marketing, Fox Sports. No more douche bag comments from former FIFA president Sepp Blatter: “Let the women play in more feminine clothes, like they do in volleyball. They could, for example, have tighter shorts.” Brands are starting to take notice that women’s football has global appeal.